Not to be outdone by “The Partridge Family” (who had filmed an episode at Kings Island in 1972), television’s “The Brady Bunch” paid a visit to the park during the second season of operation. Although filmed a year later, the “Brady” episode is the more popular and well known of the two. 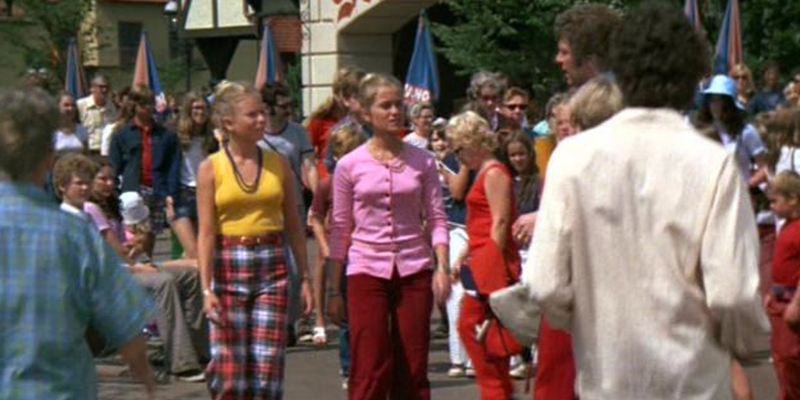 There was actually a bit of nepotism involved in bringing “The Brady Bunch” to the park. You see, Paramount Studios Screen Gems Productions, who produced both “The Partridge Family” and “The Brady Bunch,” was a major shareholder in Taft Productions. Taft owned Kings Island and also owned Hanna-Barbera Studios. Paramount Studios was partnering with Taft to distribute HB’s first animated feature film “Charlotte’s Web” in 1973. So, following the success of “The Partridge Family” Kings Island episode, it made sense to further promote their investment by featuring it on another Paramount-produced TV show. “The Brady Bunch” writers Al Schwartz and Larry Rhine, plus director Les Martinson, first paid a scouting visit to Kings Island July 29, 1973. They spent two days touring and studying the park, conceiving the plot and ironing through filming logistics. After arriving back in Hollywood, the writers finalized the script while the production team worked closely with Kings Island officials to organize filming requirements. 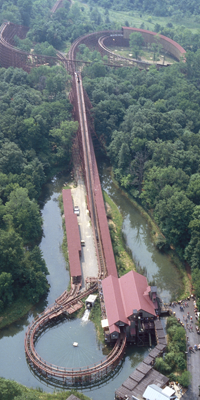 The park’s name was not scripted as part of the show. 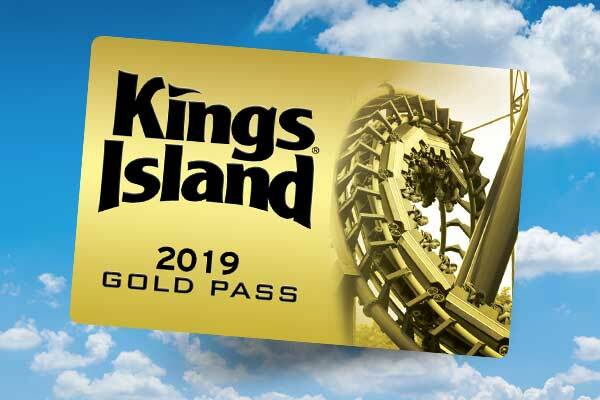 However, several of the shots would feature the Kings Island logo and the closing credits would list the park by name. The episode would cost nearly $230,000 (that’s $1.2 million in today’s world) to produce, and Kings Island agreed to pay half. 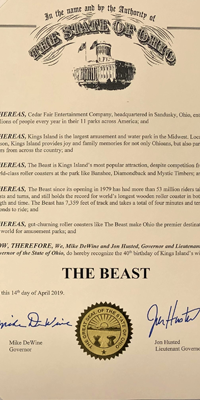 The week of August 8, Kings Island officially confirmed to the press that the deal was finalized and “The Brady Bunch” would be filming at the park August 20-24. 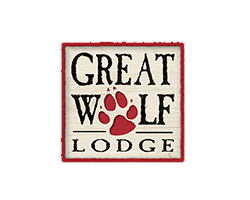 The cast and crew arrived August 19 and filming commenced at the Kings Island Inn the next morning. All of the scenes taking place at the hotel were filmed first and completed by mid-day, so filming then moved to inside the park that afternoon. However, weather was not co-operative and a rain storm moved into the area. If you watch the episode, you can tell the scenes filmed at the park that very first day because it is actually raining lightly -- most notably the last scene where Mike presents the correct plans to the park execs. The writers and director of “The Brady Bunch” wanted the show to represent the park as it would be seen on a normal operating day. However they faced a huge obstacle with a 60-person cast and crew filming during park hours. 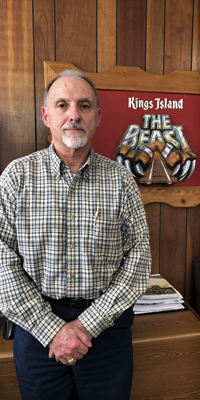 In addition, Kings Island had heavily promoted the filming in the media. 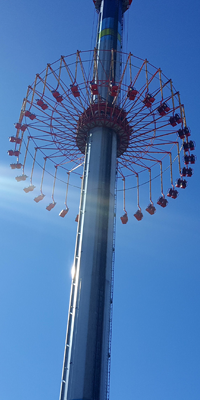 This caused an overwhelming amount of curious guests to come to the park and the attendance soared. By the end of the week-long shoot, the park and the production were overwhelmed by crowds of people. Ropes were used to block off areas of the park that were closed to the public for filming. The passer-byers in the background were selected from the crowds and asked to walk through the scenes and act “normal”, while the rest of the public was required to stay behind the barriers. The result is -- when you watch the episode – you can see throngs of onlookers being held in the background while the scenes take place. The cast was actually very excited to travel and film at the park. However, once they arrived, they were surrounded by an onslaught of fans. The Kings Island Inn was the only hotel nearby at the time of filming, so it was easy for “Brady” fans to figure out where the cast was staying. Barry Williams (Greg Brady) devoted an entire chapter in his book "Growing up Brady" to the experience of filming at the park. He said by the end of the week, the cast was calling the park “The Fishbowl” because they were constantly surrounded by crowds of adoring fans, and people attempting to peep in their hotel windows! 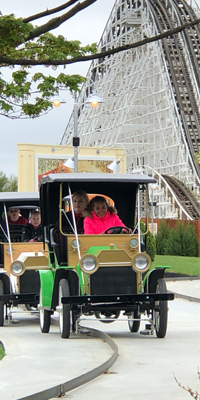 Unfortunately, throughout the week, some guests also left angry and complained of interruptions to normal operation at the park. 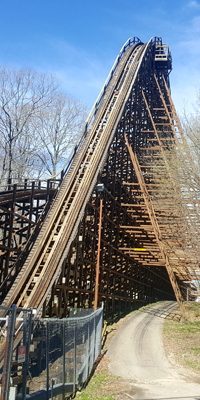 The Racer was the only "big" coaster there, and filming on it closed the ride for a significant portion of a day. This proved to be the most challenging, and frightening part of production. To obtain on-ride shots of the cast riding the coaster, a large camera mount was temporarily secured to the front of the train facing backwards for reverse point of view. 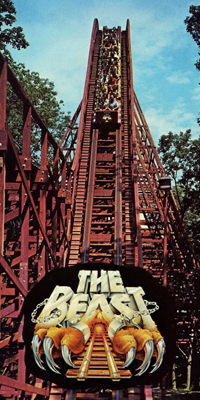 Prior to filming the on-ride footage with the actors, Robert Reed (Mike) insisted the crew send the train around before placing the cast in harm’s way. When the train returned after the test run, the crew was shocked to find the camera had dislodged and fell off its mount and backwards towards the seats. Had the cast been on board, they would have been injured. Obviously, the cast members then became very apprehensive to ride behind the camera. 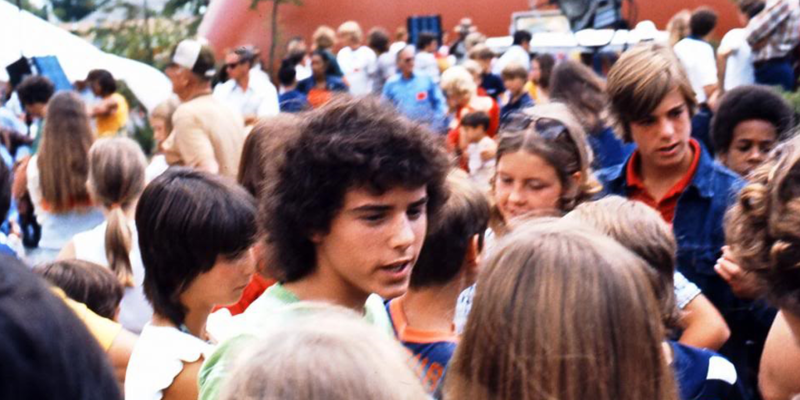 Reed and Susan Olsen (Cindy) refused to ride, so they are not seen in the show’s coaster footage. 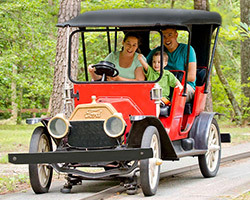 Due to her refusal to ride, Susan’s place in the front seat was taken by Eve Plumb (Jan) and a “Cindy stand-in” was placed behind Barry Williams farther back in the train. Barry was then directed to hold his hands up to help hide the fact that it was not Susan Olsen riding (should her double appear on film). 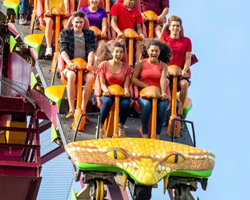 The final result of the cast riding the Racer can be seen in the episode two different times – both the middle and the end. However a keen eye will notice the point-of-view footage is a reversed (mirror) image of the actual ride. 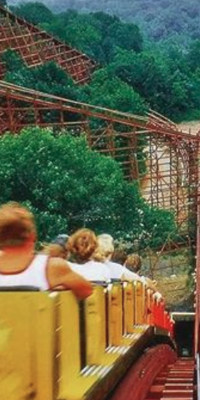 Many people believe it was stock footage borrowed from another coaster. However it is indeed the Racer and was an error the show's film editors didn't catch. Mike Brady is going to deliver some architectural designs to “an amusement park in Cincinnati.” He takes the family along, and the bulk of the episode they are seen romping around enjoying the attractions. However, Jan mistakenly switches a cardboard tube carrying her Yogi Bear poster for an identical tube containing Mike’s designs. Mike embarrassingly discovers the mistake when presenting the plans to the park executives. Due to time constraints, he only has mere minutes to find Jan and deliver the plans. Pandemonium ensues when the family scrambles to find her, but when they do she reveals she accidentally lost the tube she thought contained her poster. The family then splits up in a mad search throughout the entire park to find the missing plans. Jan and Marcia, retracing their steps, find the tube in the canoe attraction they had ridden earlier in the episode. Set to the tune of “William Tell’s Overture” a fun montage then features the family running a relay race to get the plans to the office in time. Marcia and Jan run to hand them off to Alice, who runs to hand them off to Bobby and Cindy, who run to hand them off to Greg and Peter, who run to hand them off to Carol who then rushes to give them to Mike just in the nick of time! Mike presents the correct sketches to the park executives who ultimately approve the designs. To celebrate, the Brady’s then take another final ride together on the Racer. 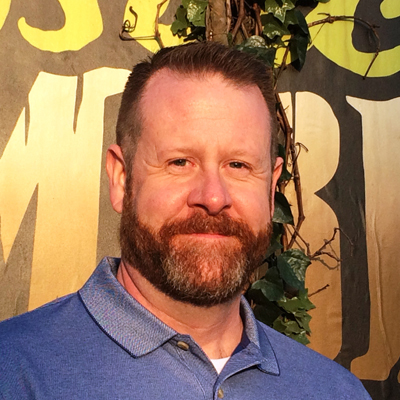 As a sub-plot, Greg is trying in vain to score a date with a beautiful park employee who runs the “Touchdown” game next to the Monster in Coney Mall. The “Touchdown” football toss game still exists to this very day and has become a famous landmark to many guests. However, contrary to rumor, the girl (Marge) with which Greg is flirting was not actually an employee discovered at Kings Island. She was cast in California and flown to Kings Island for the filming. As an attempt to woo Marge in the show, Greg rents a costume from one of the people that portray a roaming character. The costume is that of the character “Hair Bear” of the Hanna-Barbera cartoon “Hair Bear Bunch”, and the fellow he rents it from is actually Lloyd Schwartz, the producer of the episode and son of “Brady Bunch” creator Sherwood Schwartz. It is episode #106 of “The Brady Bunch” and titled “The Cincinnati Kids.” It originally aired November 23, 1973 at 8 p.m. as the 11th episode of “The Brady Bunch’s” fifth and final season. It is still shown in syndication today (although often scenes of the park are edited down) and remains one of the most watched episodes of the series. The entire, un-altered episode is available on DVD and Blue-Ray collections. In 2001, the episode (in a very condensed form) was selected as one of the most popular “Brady” shows and given the “Pop-Up Video” treatment. Aired on VH1 (Owned by Paramount at the time – who also owned Kings Island) the show featured fun facts, and ironies (supplied by the park’s PR manager, “Brady” cast and creators) which “Pop-Up” in bubbles throughout the episode. 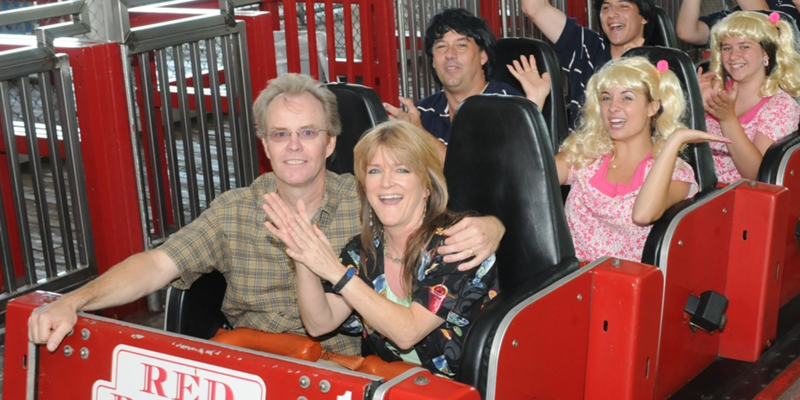 In 2008, the park celebrated the 35th anniversary of the filming and three original cast members – Barry Williams, Susan Olsen and Mike Lookinland (Bobby) – returned to Kings Island to great fanfare. 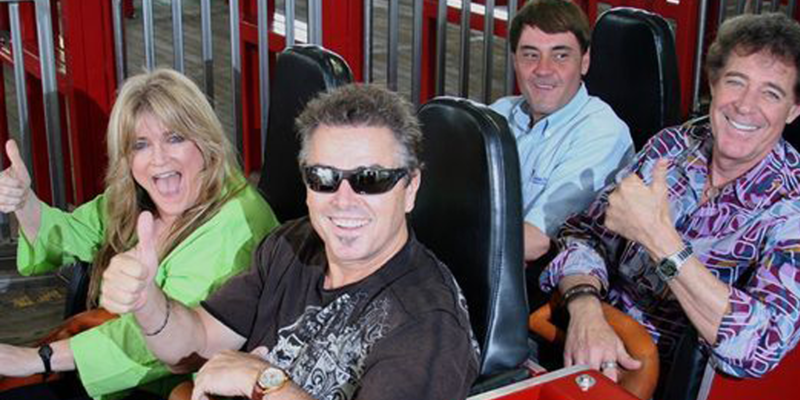 In 2013, Kings Island celebrated the 40th anniversary of the filming and Barry, Susan and Christopher Knight (Peter) made a special appearance. 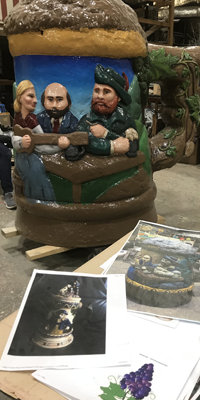 In each of the visits, the cast members shared stories of creating the episode, their memories of being at the park, and celebrated the longevity and popularity of the show. 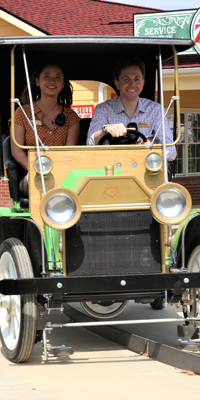 They also all took nostalgic rides on the Racer – this time including Susan.